BENSALEM, Pa. -- Human remains found in a Bucks County park on Tuesday are believed to be those of a woman who has been missing for nearly two months. The remains were found in Tyler State Park by a staff member who was clearing vegetation, investigators said. 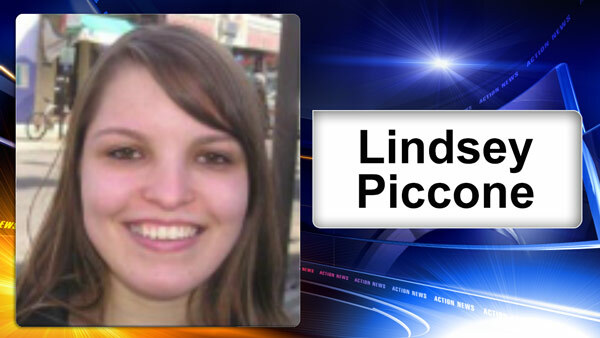 Police believe they are of 21-year-old Lindsey Piccone of Bensalem, who was last seen on September 6. Bensalem police say the Pa. State Police and the Department of Conservation and Natural Resources are on the scene to investigate. There was no word on a possible cause of death. In a video posted in late October, a family member of Piccone she left a note that was "very vague and implied a permanent goodbye, but it wasn't clear what she meant by that, if she wanted to harm herself or if she was running away."